Eating healthy and staying fit as an equestrian is very important not only for the horse but for you! Feeling strong and healthy will help improve your mood and your horses. Workout: These exercises help improve your core, posture and leg position. Do these exercises for 30 seconds each. Eating healthy: Here’s tips and ideas of healthy foods you can eat for less! Most local grocery stores have fruits, veggies and healthy options for great prices. Snack ideas: A handful of veggie chips, any fruit, a spoonful of peanut butter, protein bar are all things I love to snack on before I head to the barn or just in the afternoon. Main course meals: A big salad with some protein like almonds or avocado if you don’t eat meat and chicken, beef or bacon if you do. I also love gluten free pastas, steamed veggies or a yummy soup! Feeling refreshed and calm: I use Young Living’s Stress Away Essential oil to help me relax and you can even put it in your Epsom salt and add it to your bath!! There’s many different oils you can use, my favorites are Lavender, Stress Away and Lemon, they smell amazing in a bath. There’s many ways you can use YL oils on your horse at the barn like mixing coconut oil, Lavender and Copaiba oil in a small mason jar to make a calming blend for your horse!!! My horse also likes smelling Sacred Mountain oil straight out of the bottle. 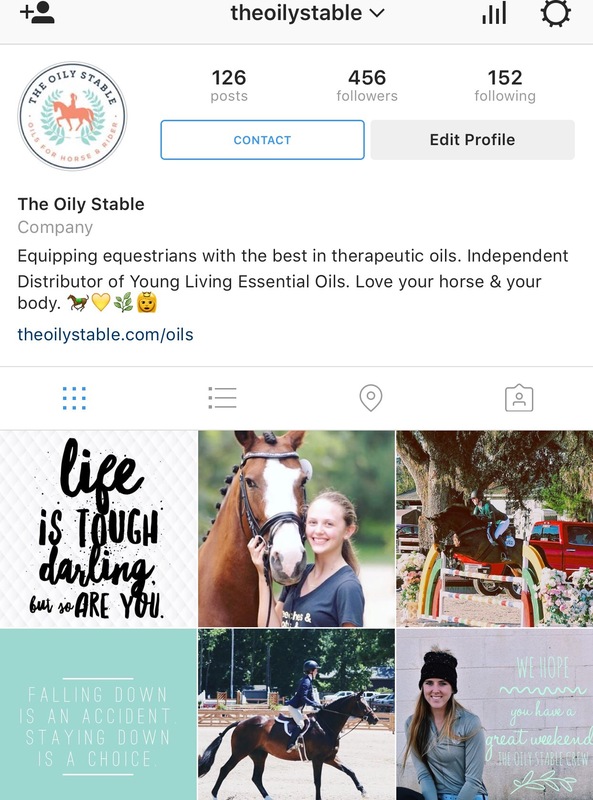 If you’re interested in oils for you and your horse check out my cousin and I’s website theoilystable.com for more!! We also have an Instagram if you’d like to see what we’re posting! !